More thoughts from Colleen Hull-Gray, today's guest post author. I grew up on the Alberta prairies with an occasional trip that gave me a glimpse and deep love of the Rocky Mountains. 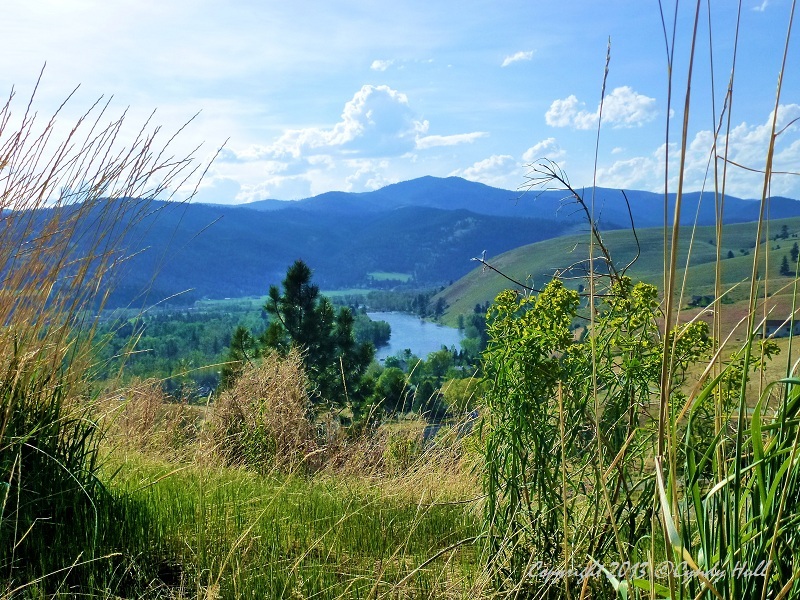 After moving to Montana, I gorged on the beauty of various mountain ranges - Bitterroots, Sapphires, the ranges around Lewistown and the Rocky Mountains near Livingston. Eons ago Marie Osmond and Dan Seals sang, "Won't you meet me in Montana; I wanna see the mountains in your eyes." No thanks. I don't want to see reflected mountains. Even in beautiful eyes. Just let me see the mountains. Singing John Denver songs yet? So good to see you on the blog-world. & how lovely to hear from you! Thanks for the vote of confidence!